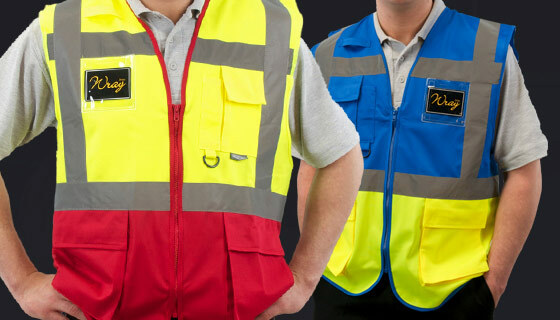 Impress with new style Hi Vis vests. Regardless if you work in construction, warehousing or security the state of your hi vis vest will speak volumes about your standards. 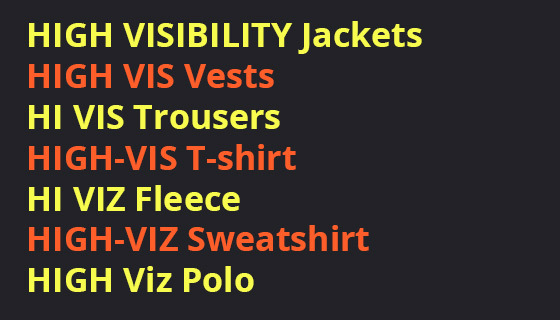 You know the importance of wearing High Visibility workwear but do you know the EN standards your clothing should meet? 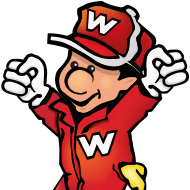 Hi-Viz or High-Vis: however way you spell it, we sell it. 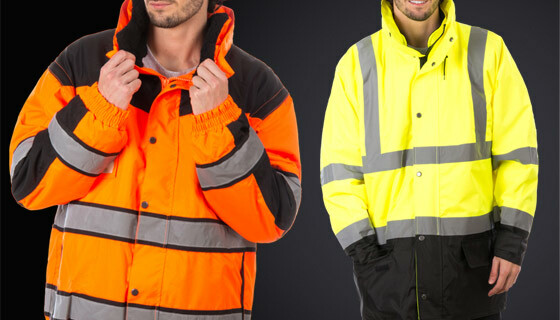 We have no idea whether High Visibility or Hi Viz is best but if you want to know what workwear is best suited to your job then that's where we come in. 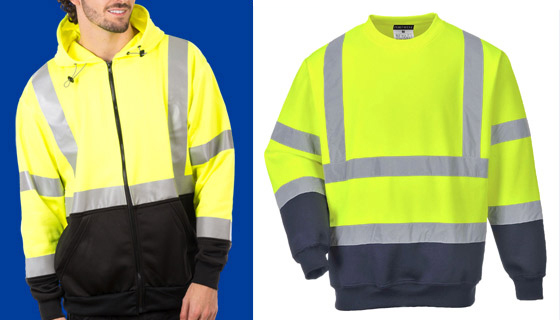 If wearing a cumbersome jacket proves too restrictive why not get yourself a warm and comfortable high-vis sweatshirt or fleece jacket. High Vis Vests contribute to your safety and well-being. If you personalise your vest with your logo, it dramatically raises awareness of your brand. 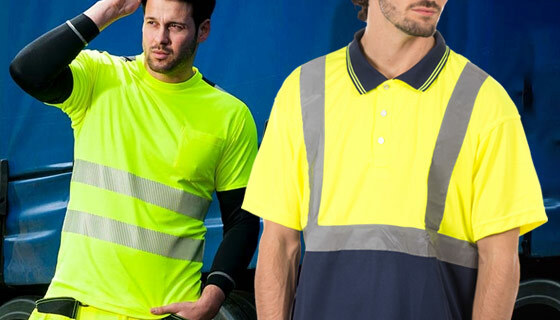 Wearing a High Vis Polo or T-Shirt will make you both conspicuous, under any lighting conditions and will provide all-day comfort in your working day. 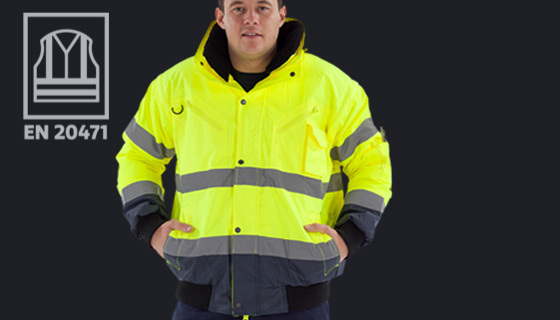 See why the high vis jacket has become a common sight in today's workplace. 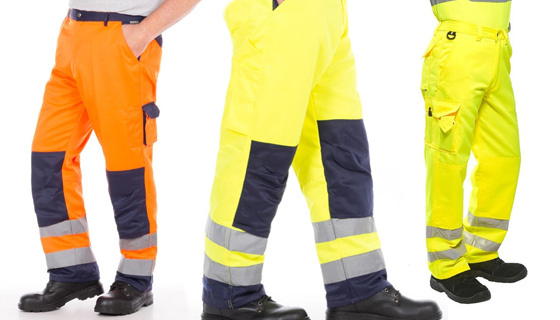 High-Vis Trousers are available to buy as an individual item of clothing or as an accompaniment to your high-vis jacket, sweatshirt or polo shirt.